The formal practice of mindfulness is over 2,500 years old, but in the past 30 years, Western science has conducted extensive research on its benefits and applications. The regular practice of mindfulness has shown to reduce anxiety and stress, support immune function, increase mental resilience and distress tolerance, decrease depressive symptoms, increase pain tolerance, and improve overall mental outlook. 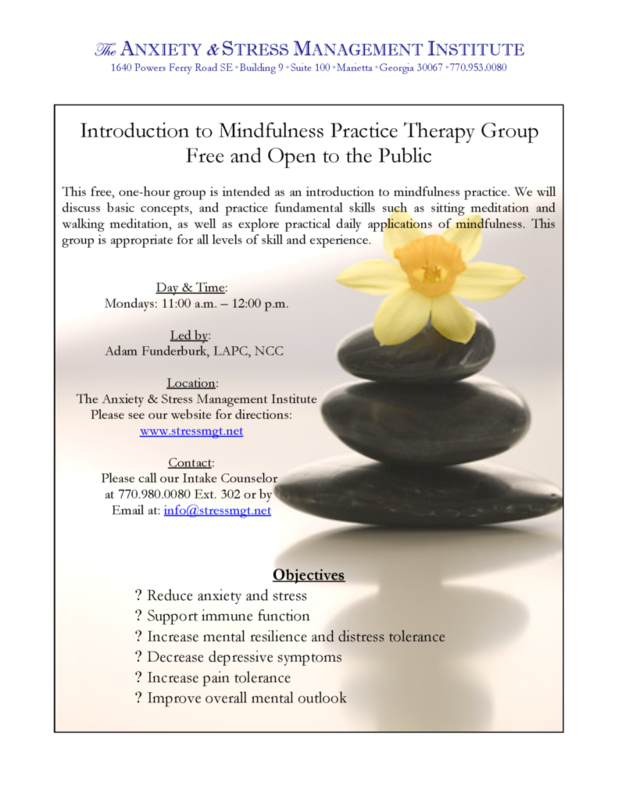 This free, one hour group is intended as an introduction to mindfulness practice. We will discuss basic concepts, and practice fundamental skills such as sitting meditation and walking meditation, as well as explore practical daily applications of mindfulness. This group is appropriate for all levels of skill and experience. Mondays: 11:00 a.m. – 12:00 p.m.